Price: $4.50 by the box at Atlantic Cigars. $6.80 at CI. This stick goes back a long way and I haven’t had one in years. 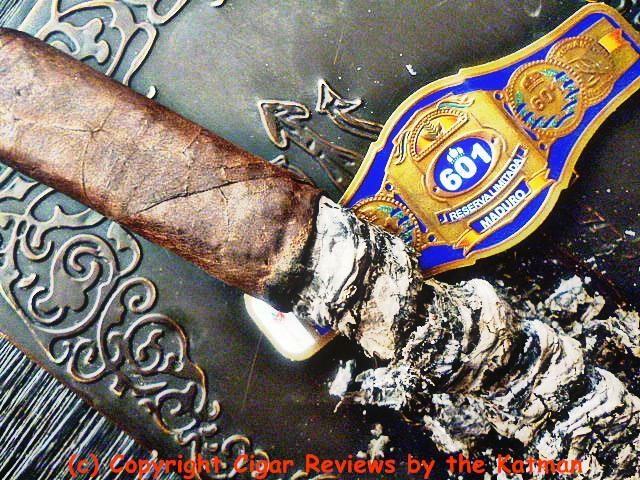 In 2009, Cigar Aficionado made this stick its #6 of Top Cigars of the Year. It also received a 94 rating. It also received the Robb Report Best of the Best for 2008. Also, the price above for a box of robustos is $40 less than a box at CI. And that is without joining the VIP Club. The 601 line has a helluva’ political thriller schematic. 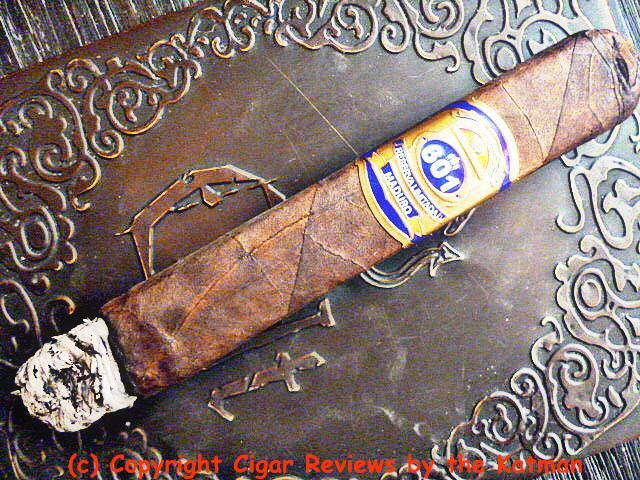 The original blend was Pepin Garcia’s first maduro and its first box press. 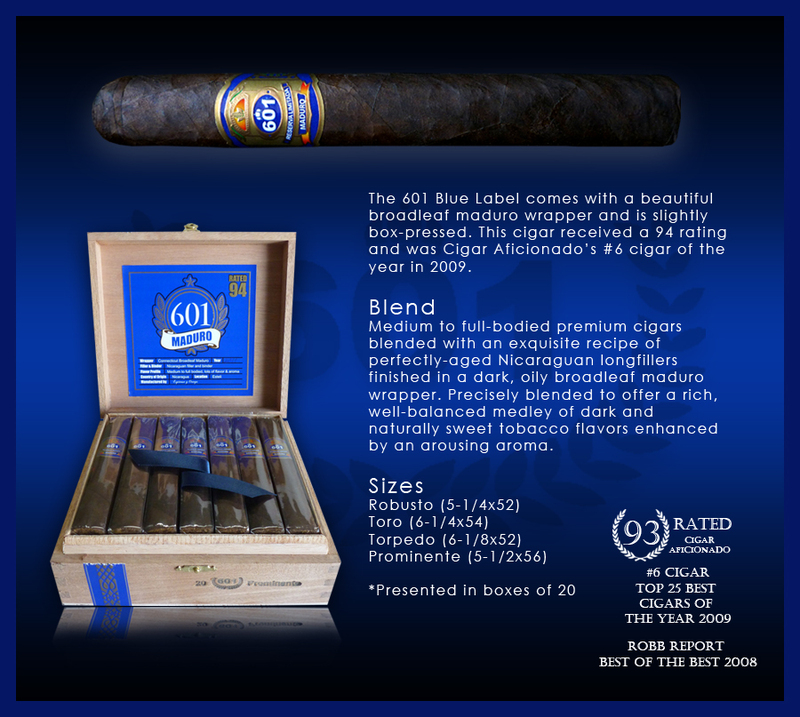 The 601 Blue comes in four sizes: 5.5 x 56, 5.25 x 52, 6.25 x 54, and 6.12 x 52 (Torpedo). 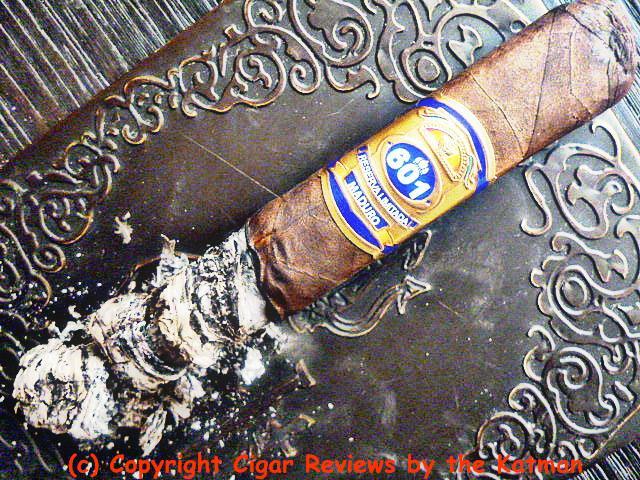 601 was launched by EO Brands…Erik Espinosa and Eddie Ortega. A few banding changes raised the ire of the public and they are now back to pretty much what the original band looked like. The first change was in 2010 and then the banding was changed to what it looks like now in 2011. 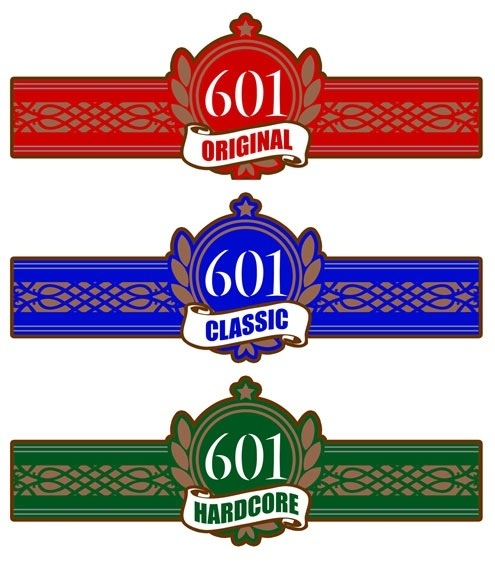 The 601 brand came from Eddie Ortega and Erik Espinosa. They eventually split. And left their distributor, Miami Cigar & Co. Rocky Patel acquired 50% of the company and you can guess what happened next. At the dissolving of the company, Espinosa took its helm. 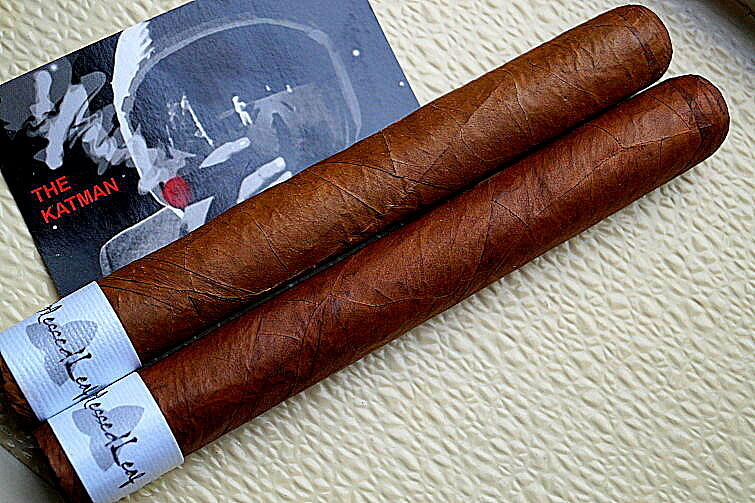 And is now sold under the aegis of Espinosa Premium Cigars. Ortega is out. Construction of the Blue is fantastic. Almost art. The corners are crisp and even. Some seams are exposed and there are lots of small veins. The triple cap is flawless. 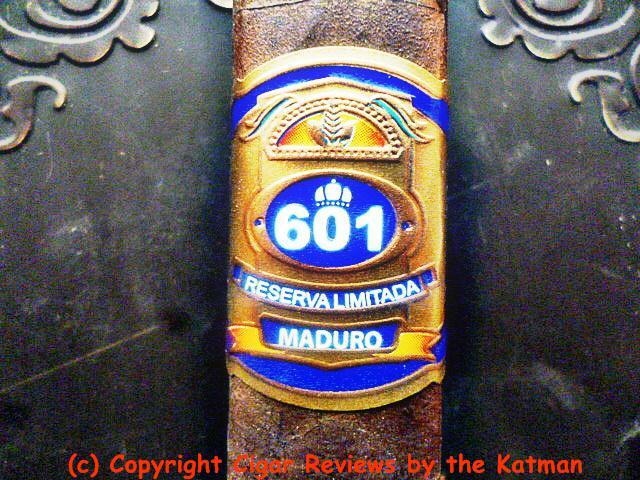 And I love the current cigar band over all the others with the word, “Maduro” plainly shown on the bottom of the band. I clip the cap and find aromas of dark cocoa, spics, espresso, and cinnamon. As well as dried fruit and some orange zest. The first puffs are very spicy. Supposedly, this cigar gave birth to the “Garcia Blast.” Supposedly. A very nice natural sweet tobacco flavor arrives. But the spice is so strong; it obliterates everything else in the flavor profile. 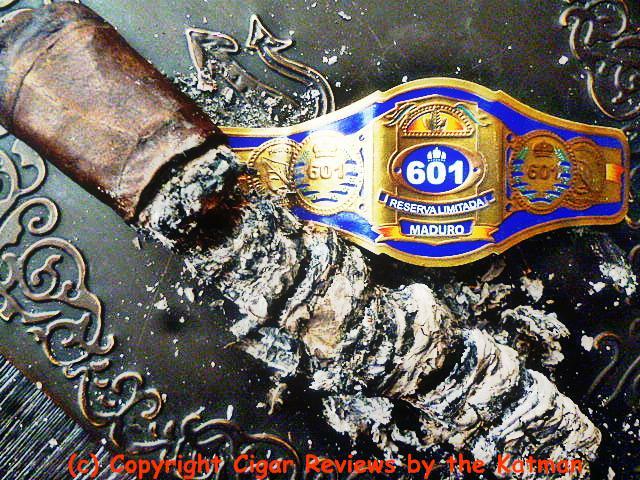 The 601 Red Label has always been my go to of the line because of its similarities to the Cuban Ramon Allones. So, I’ve never spent much time with the Blue. 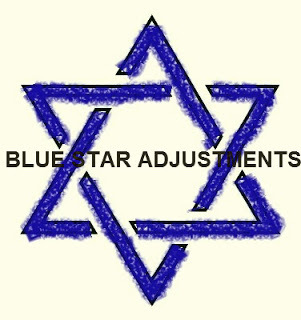 The Blue has a lighter quality. Not as dense as the Red. More airy. Cocoa shows up at the quarter inch mark and lessens the sledge hammer approach to the red pepper. It was through Garcia that I learned I love spicy cigars. Something about them that really appeal to me. Maybe it’s as simple as growing up in So Cal and the influence of authentic Mexican food. The house keeper that raised my sister and I was Mexican; Julia. And man could that woman cook. But she knew how to keep us in line. I got away with nuttin’ honey. I loved that woman and she was with us right through the death of my mother when I was 18. Julia had a big family living in the dirt hills of Tijuana and once we visited. I was shocked out of my little middle class white shoes. A dirt floor. One room. No bathroom. I didn’t speak for the 2-1/2 hour ride home. My dad would always bring her husband, and the kids, up to our place and give him jobs to do help out. He had converted our double garage into an apartment. Julia stayed with us M-F and went home on the weekend. I was only popular with the smart kids in junior high. But not in summer. We had a pool. And the kids gravitated to me especially since Julia made homemade, from scratch…all sorts of Mexican food goodies for us. She missed her kids. And then school started and all the popular kids went back to barely acknowledging me. I was killing time. 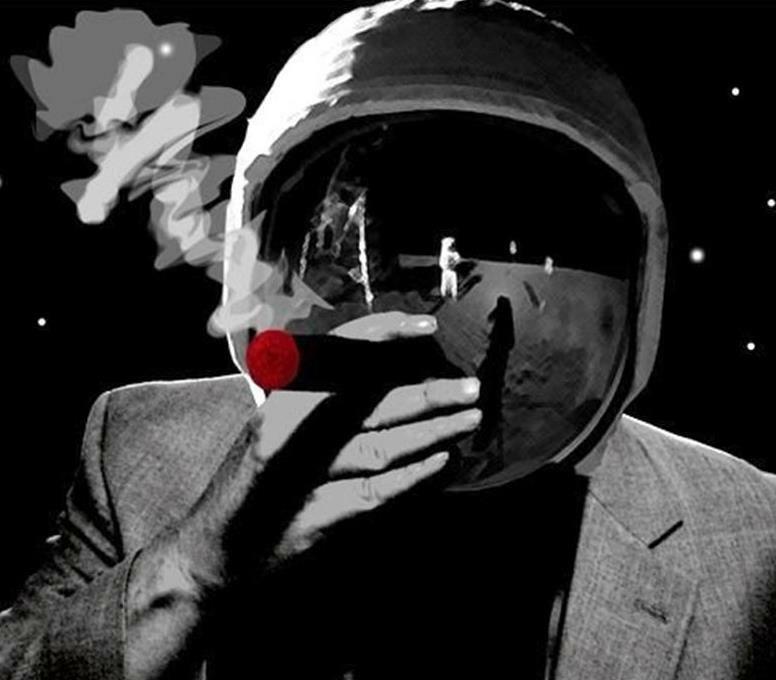 The cigar is jammed with tobacco and a slow burner. I am near the end of the first third and new flavors emerge: espresso, sweetness, toffee, and raisins. The spiciness, I think is milder. It’s hard to tell when your taste buds have been fried off. A big dollop of creaminess shows up. Smoothing over the fire storm area of my palate. The char has been a bit wavy but not requiring a touch up. The draw is spot on and it is a joy to smoke. 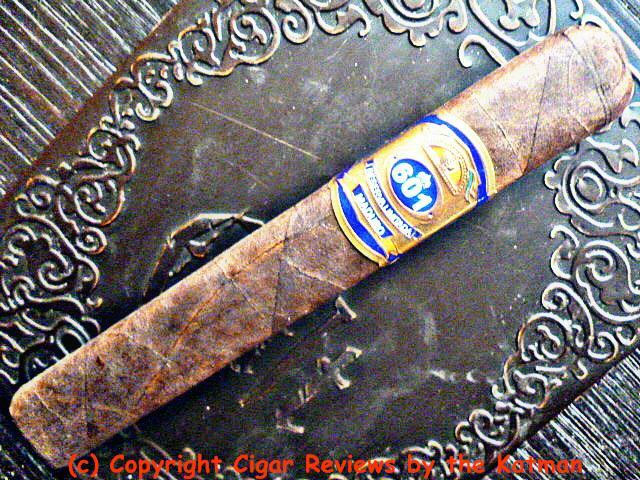 Now that I remember the taste of the Blue, I need to get more for the humidor. 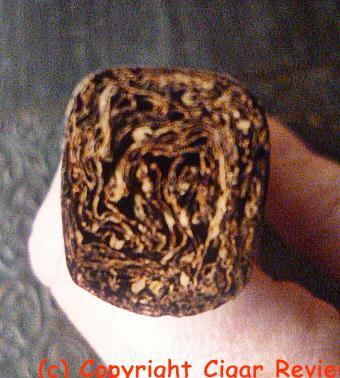 A rich earthiness appears and enhances the natural tobacco flavor. Man, this is good. 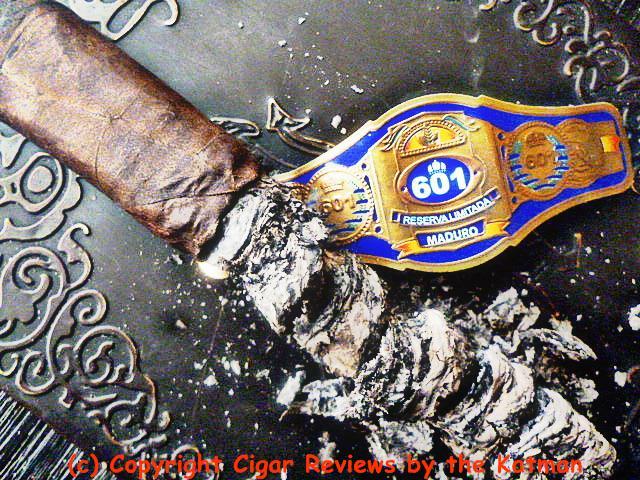 I am not sure if Pepin Garcia is still involved with the blending of the 601 brand. The poor cigar company went through so many changes, especially Patel, that I know for a fact that Garcia bailed. But he and Espinosa are friends and cohorts. I just don’t have anything to confirm that they are back together. It sure tastes like they are. 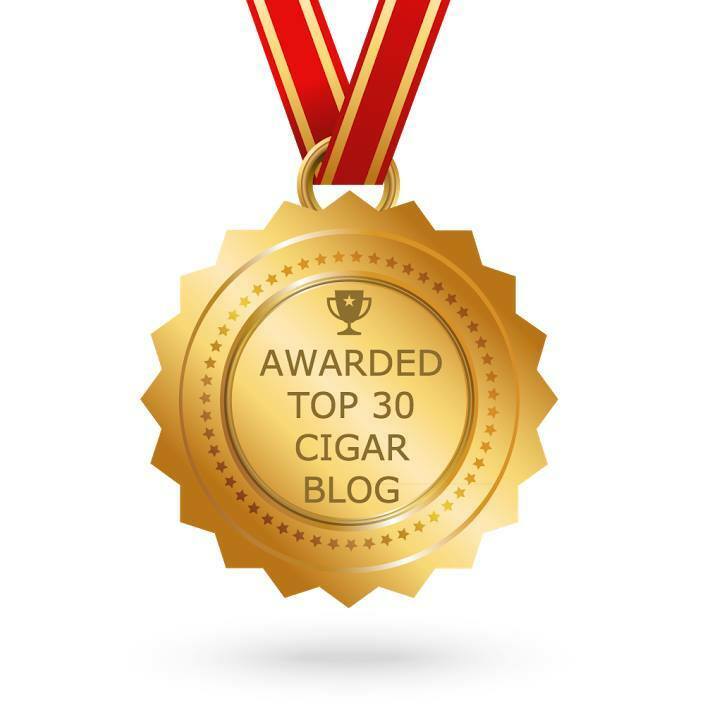 I hit the second third and near the halfway point and this cigar is as delicious as fine candy. A bit of salty pretzel appears, but only in the mildest form and gives all that sweetness a nice counterpart. A chocolate covered pretzel. The coffee and cream make an excellent pair. The raisin gives the profile a sticky sweet complexion. There is no flavor bomb status because of the overbearing spiciness. But underneath that, there is a different level of FB status. It is not complex; just great flavor. The last third begins. And I’m getting citrus notes of lemon zest. Tart. It accentuates the earthiness. There is nothing critical I can say about this cigar. I’ve only had it for a couple of months and it is behaving admirably. The draw is great. The cap is spot on. The char line, while a tad bit wavy needs no corrections. 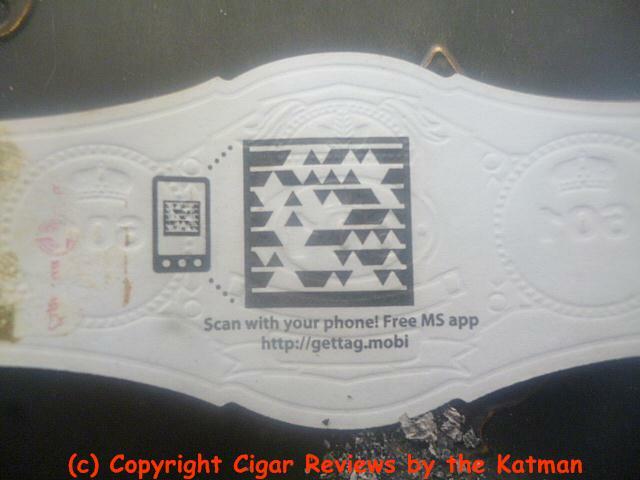 I remove the band and on the back side is a scan Whatcha-ma-call-it that when you use your phone to scan it, you get a free MS app. I have no idea what that is. Remember, I’m old. I haven’t had a smart phone in over 5 years when I settled in for the non-working lifestyle. So I have a simple Virgin mobile phone that makes calls and sends texts. And I pay $20 a month for 40 minutes. The wife has the same thing. Back to the stone age. The last third sees no major changes except some subtlety. The spiciness has moved to almost the back of the line. And the salty pretzel is gone. The flavors are: Creaminess, cocoa, coffee, toffee, raisin, sweetness, earthiness, and citrus. 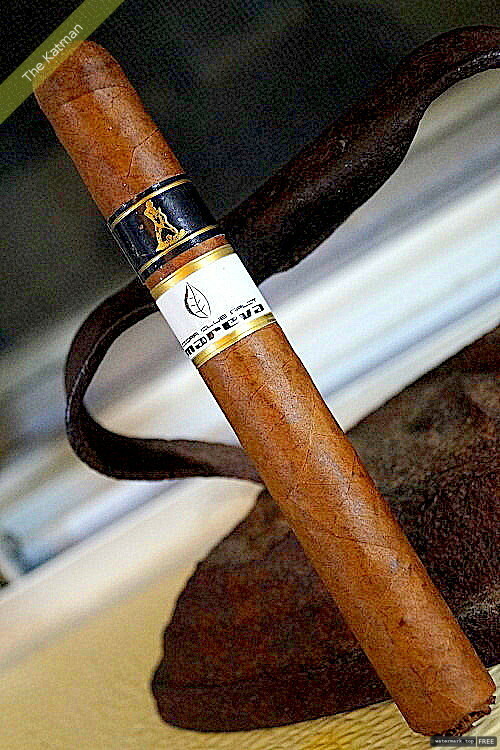 Some complexity shows up in the form of a mellow and smooth smoke. The strength started out as classic medium and is now medium/full without a hint of nicotine. But I’ve got a couple inches to go. 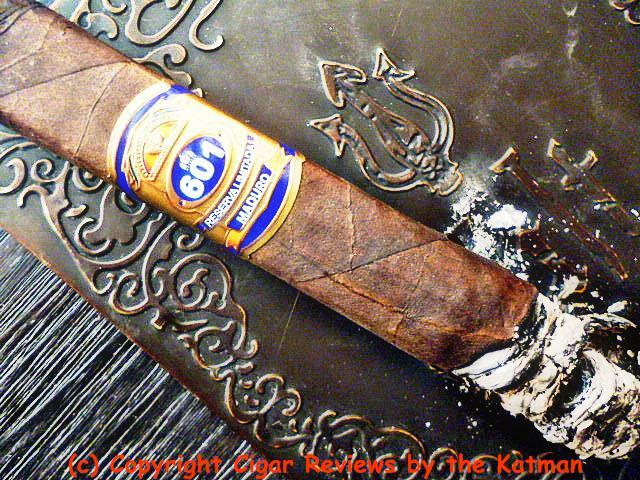 The cigar finishes out most decadently. Flavors are explosive. Every nuance goes three layers deep for each flavor. The strength evens out at medium/full and still no nicotine. 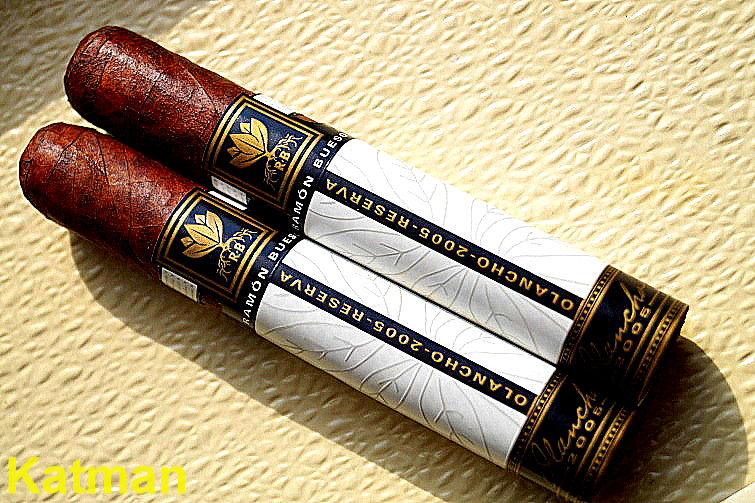 As I wrote earlier, Atlantic Cigars has a killer price point for these cigars. Much better than anyone else around. It is as if they’ve applied the VIP Club membership price to the cigars for the general public. $40 cheaper than anyone around is a huge deal. The char line needs its first char line correction. Nothing serious but I want it to look good for the photos. Which every other reviewer does as well. We even snip the cap to remove the juiciness that is somewhat disgusting but what comes from writing and smoking at the same time. Here is what I like about Atlantic….with every pricing of boxes, 5 packs and singles, they notate how many units are left for each one. 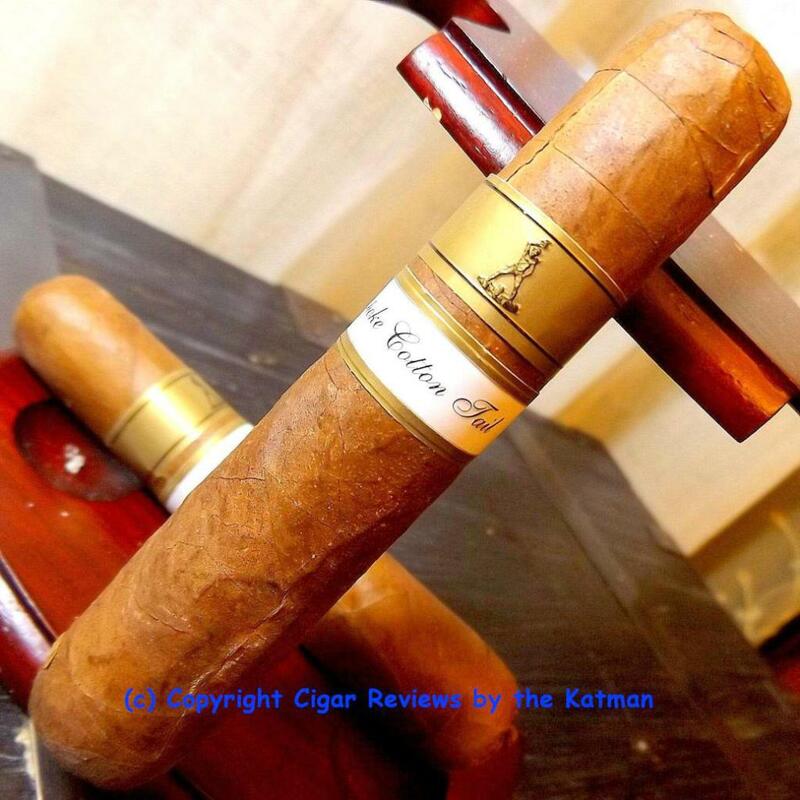 There are only three boxes left of my robusto and I have contacted Garland at Atlantic to please hold on to one for me until early next month when I get my social security. One of the upsides of having a productive relationship with an online store. I finish the cigar without a hint of harshness or bitterness. It remains cool as a cuke. I thoroughly enjoyed this cigar. 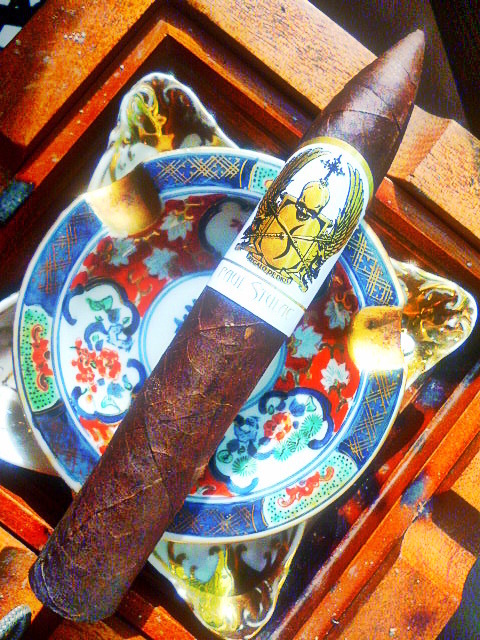 What a nice change to smoke such an intense cigar made up of all the flavors I enjoy. Brava Mr. Espinosa. ‹ La Zona Factory Selects by Espinosa | Katman Alert!